ADV-8608 - 8-Channel Audio Encoder | AdvancedDigital Inc.
ADV-8608 is a professional audio encoder with powerful functionality. 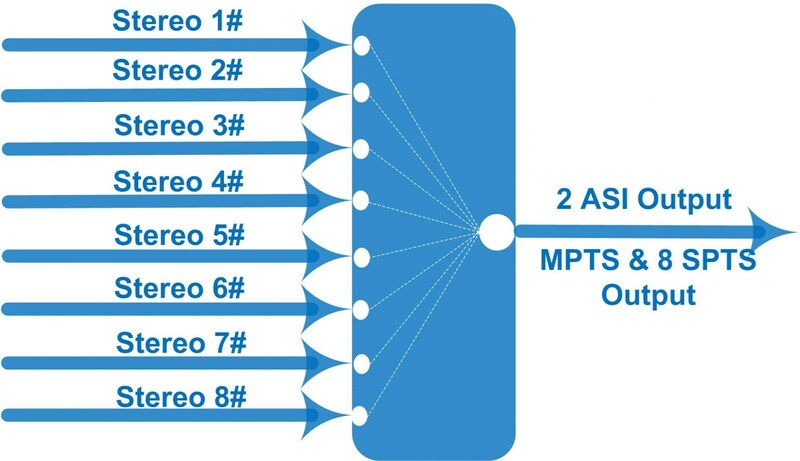 It has 8 independent channels of unbalanced audio inputs supporting MPEG 1 Layer II compression. Furthermore, it supports audio gain control in a wide range. ADV-8608 outputs encoded audio through both ASI and IP ports for further transmission. Click on “ADV-8608 Datasheet” for technical specifications.